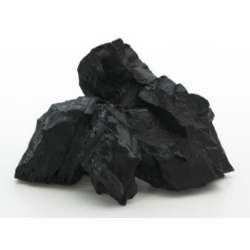 Kibo Mining PLC (AIM:KIBO) has announced the results of the power pre-feasibility study for the Tanzania Rukwa Coal to Power Project (RCPP) showing the potential to expand the power station and double the current size of the project, which could be used in alternative energy-conversion technologies, such as coal to liquids. Results of the study indicate the total project cost will be between USD 640 million and USD 760 million depending on the final plant option selected. According to the CEO of Kibo Mining, Louis Coetzee, results of the power pre-feasibility have shown the robust nature of the project with opportunities to find energy solutions to address the deficit in Tanzania. Following the completion of the power pre-feasibility study, work is now set to begin on the power definitive feasibility study and on the creation of a financial model that will be sent to the company’s independent financial and technical advisers for assessment. The generation, transmission and distribution of electricity in the Tanzania energy sector is channeled through the Tanzania Electric Supply Company (TANESCO), which is fully owned by the government and is responsible for 98% of the electricity in the country. The primary sources of commercial energy in the country are generated from petroleum, hydropower and coal.